A new version of the last communication between air traffic control and the cockpit of the missing flight MH370 has been issued by Malaysian authorities. The last words spoken were: “Good night Malaysian three seven zero” – and not “All right, good night” as reported. Malaysia’s acting Transport Minister Hishammuddin Hussein said forensic investigations would determine whether the pilot or co-pilot spoke the words. 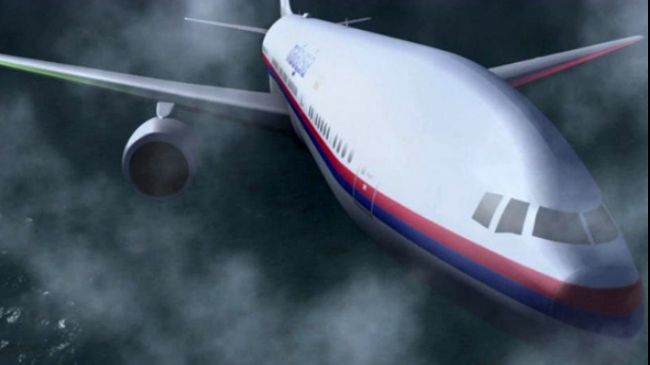 Malaysia Airlines plane, carrying 239 people, was travelling from Kuala Lumpur to Beijing when it disappeared on March 8. The plane’s last contact took place at 01:19 Malaysian time. The new version of the last words is more formal and more in keeping with the way a pilot might usually speak to air traffic control than the wording previously reported. It is not clear why it has changed or why it has taken the authorities this long to determine this. Earlier, Australian PM Tony Abbott said rescue crews had put no time limit on the hunt for the missing jet. Aircraft and ships are scouring the Indian Ocean west of Perth looking for any trace of the flight. Evidence from satellite “pings” received from the plane after its last contact with air traffic control and radar has been used to delineate a search area. While floating objects have been spotted by search teams, none has been identified as coming from the Boeing 777. The search teams are deploying a device known as a “towed pinger locator” (TPL) to listen for ultrasonic signals from the plane’s “black box” flight-data recorders. The signals from the flight recorders last about 30 days. Dozens of relatives of some of the 153 missing Chinese passengers have travelled to Kuala Lumpur in their search for answers. They have become increasingly angry with what they perceive as a lack of information from the Malaysian authorities. Hishammuddin Hussein said the Malaysian government would soon hold a briefing for those families to update them on the search, which would include international experts to explain the research, data and methodology used in the operation. The briefing would also be broadcast live to other families in Beijing, he said.